BodhranExpert Platinum Membership is year long online program and downloadable course, but a truly unique experience. Yes, you get all the videos, transcripts and audios from me that make you feel like I’m there in the room talking to you and teaching you directly, but you also get to connect with me and your classmates so you actually feel like we’re in this journey together. Once you register you will receive login details to a private membership site where you can watch, read, listen and download everything to keep forever. 45 Files of Written Transcripts from each lesson (118 pages in total) with the easy to follow Bodhran Notation. Everything is not only viewable on regular computers and notebooks, but it is also Ipad and Iphone ready. Once you’ve covered the Main Program these Bonus Modules will help to take your playing to the next level and keep you motivated. These six, very in depth lessons, with Video, Audio and Transcripts with Bodhran Notation, will be schedule released which means two weeks after you’ve registered and you’ve had some time to watch most or all of the Main Program you’ll get Bonus Module 1 – Offbeat Reels. These Bonus Modules are so involved because when I was creating them I just couldn’t stop teaching and they ended up being much longer than I even intended them to be. Each one of them could be released as their own individual course, they are that involved. 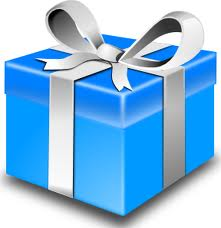 Then 21 days after you start you’ll get Bonus Module 2 – Mastering Triplets and Rolls. On day 28 of the program you’ll get Bonus Module 3 – Slip Jigs. Bonus Module 4 – Marches, Waltzes and Polkas comes to you 35 days into the course. 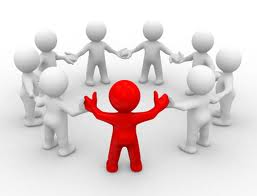 Intermediate and Advanced Jigs – Bonus Module 5 will be released in the private membership site 42 days in. And then Bonus Module 6 – Bodhran Solos will be released on day 49. So the sooner you start the sooner you’ll get access to those. And did I mention that all of these modules have multiple videos and you will get the transcripts and audios too? BUT you’ll still have access to the private membership website for six months so you’ll have more than enough time to download everything. And there’s even a video in there to show you exactly how to download everything. In this module you will learn all about the Offbeat Reel Rhythm and how to use it in scores. I originally planned to include one tune to play along with, but got so carried away during recording that we ended up putting together a four tune set. This is a 9 video module totalling over 97 minutes. In this lesson you will learn how to master triplets and rolls once and for all. This is a complete blueprint to cracking what many find to be one of the most frustrating rudiments to learn and control. In this very detailed lesson you’ll learn how to use triplets in the score for the very popular ‘Toss The Feathers’. Five videos for another 85 minutes of high quality instruction. This module is all about the Slip Jig. Not only will we cover various Slip Jig Rhythms, but we will learn a score to use it in AND I’ll also teach you how to change between 9/8 and 6/8 time when the tune calls for it. You will also learn what to play along to Rocky Road To Dublin. This module will cover an introduction to Waltzes, Polkas and Marches. You will learn suggested beatings to play along to the featured tunes and much more. Includes O’Sullivan’s March, John Ryan’s Polka and Fanny Power Waltze. Five more great videos totalling 74 mintues. This module will cover intermediate and advanced jig rhythms and a really neat tune to use them in. This lesson really makes you think outside the jig box and see the cool possibilities beyond the Mother Of All Jig Rhythms. Five more videos of intense jig work will keep you busier than the 54 minutes of video time. As in all the modules the notes will really support you here, especially the 30 pages for this module alone. This module will cover how to piece together a bodhran solo. Here I will teach you two sections of one of my own solos. First we’ll cover the ‘Jig Fanfare’ and then what I call my ‘Salsa’ section. Almost another 100 minutes of video content in the module itself. This will be your own private session training ground. As we cover a new tune recordings of it at various tempos will be placed here. You will also have the option to play along with the uilleann pipes with and without my bodhran accompaniment. Playing along with my drumming will help you gain confidence and when you are ready to play on your own the track without drumming will be there for you. This section will host a variety of helpful resources that will not only assist you in learning the bodhran, but it will also help you become more educated and show you how to guide yourself along your musical journey. This section is for you to exchange information about bodhrans, tippers, playing goals and a host of other topics. It’s the ideal place to brainstorm, get help and make friends. Consider this area to be your ‘Bodhran Help Hot-Line’. 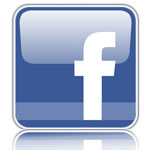 You wouldn’t believe the amount of information, valuable tips and support that is here on a daily basis. The sense of community here is one of the best things about this program. 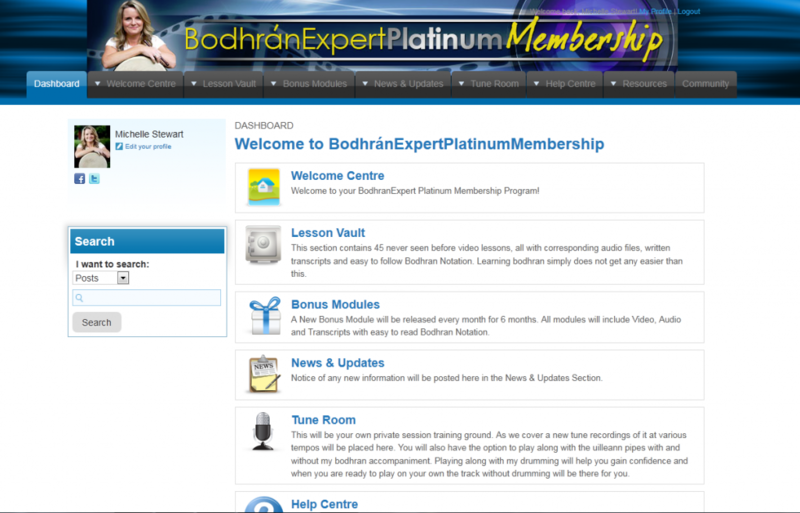 The Next Class Of BodhranExpert Platinum Membership Will Be Coming Soon!!! To get FIRST NOTICE of ANY open seats enter your email here http://www.BodhranExpertPlatinumMembership.com for ‘early bird’ notification. Michelle, I certainly hope you do continue giving the Platinum Membership. I have been intrigued/fascinated with the Bodhran since enjoying the band Dervish some years ago in Savannah, GA. Just returned from Ireland a couple of weeks ago from a 2 week holiday. Enjoyed the music and pubs so much that I have purchased a new Bodhran from Paul at Irishbodhrans.com and started watching your videos. Disappointed that the platinum membership closed on the 21st, as I returned from Ireland on Oct. 22nd. Keep up the great work and know that we all appreciate your dedication to the art. Drummmm Onnn!! P.S. How do you feel about taping the drum head (notice yours are not taped)?